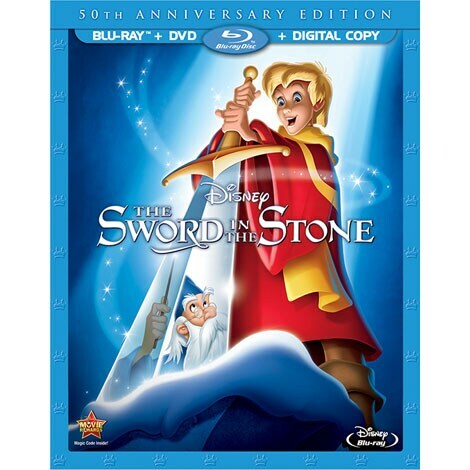 Humor, spectacle and magic rule in Walt Disney's legendary classic tale The Sword In The Stone! Embark on an adventure-filled quest for an unlikely hero! According to legend, only someone with honor, decency and inner strength can claim the throne of England - by pulling out the enchanted sword that lies locked in a massive stone. Many brave knights have tried, so it seems impossible that a young apprentice known as Wart could succeed. But with the guidance of the wizard Merlin, help from some hilarious friends and true strength of character, Wart just might become England's greatest king. Bonus Short: "A Knight For A Day"
Bonus Short: "Brave Little Tailor"
Bring home this hilarious adventure full of action, heart and tons of bonus extras that take you deeper into the world of Zootopia.